It’s the final day of our special Commonwealth Games coverage and Australia is way ahead in the tally with a total of 160 medals: 63 gold, 47 silver and 50 bronze. In this report we look all the latest news from the Games along with how the theme of inclusivity has been extended to homeless people and how some of our amateur athletes cope with the intense pressure of competition. 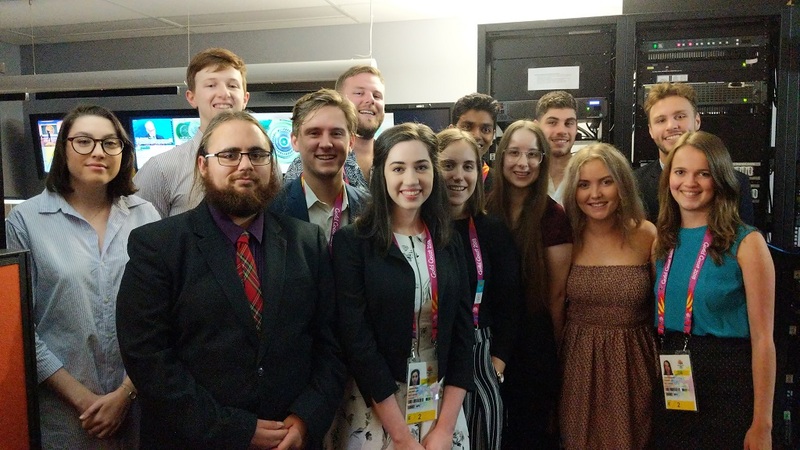 QUT News Commonwealth Games reporting team: L to R Ashlee Press, Kaydan Howison (front), Tom Copley (back), Dominic Shumilin, Kris Anderson, Jessica Riga, Holly Parkinson, Naveen Razik, Jorja McDonnell, Michael McGuane, Chloe Wilshire, Tim Shepherd and Claire Boughey.